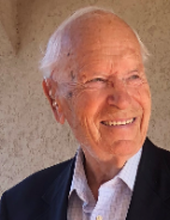 Mr. Henry Francis Rust, age 93, of Fort Mill, passed away on Wednesday, February 6, 2019 at home surrounded by his loving family. Survivors include his wife, Eleonore Rust: his son Nicholas Rust: daughter, Gisela Clark and husband Michael Clark and his two grandchildren, Coral Clark and Remington Clark. A Mass of Christian Burial will be held on Saturday, February 9 at 1:30 pm at St. Philip Neri Catholic Church, 292 Munn Road, Fort Mill, SC. In lieu of flowers, memorials may be made to the Music Ministry of St. Philip Neri Church. To send flowers or a remembrance gift to the family of Henry Francis Rust, please visit our Tribute Store. "Email Address" would like to share the life celebration of Henry Francis Rust. Click on the "link" to go to share a favorite memory or leave a condolence message for the family.